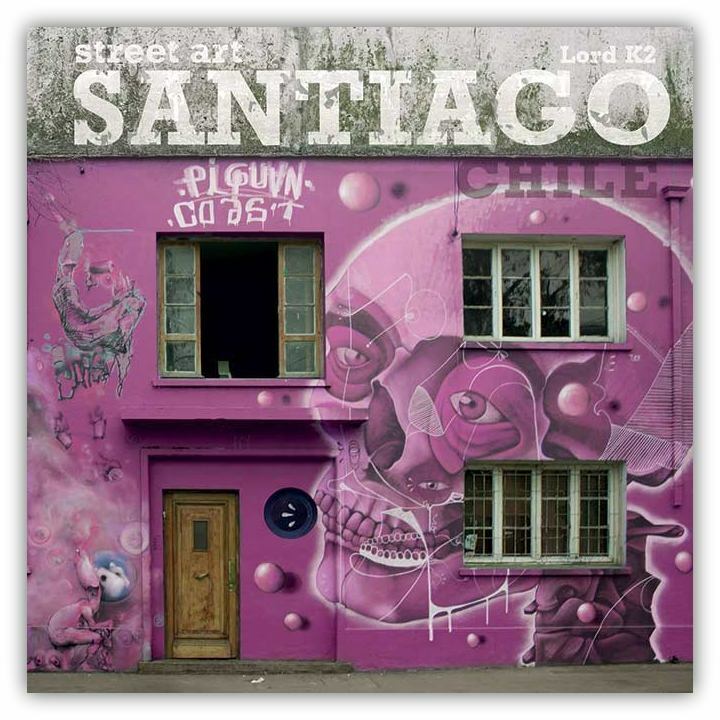 Penned by London native David Sharabani aka Lord K2, Street Art Santiago is a fascinating foray into 14 neighborhoods within Santiago, Chile. With his stunning photography and revealing conversations with the artists, the author presents us with an intimate, striking portrait of an historic capital city. I recently had the opportunity to meet with David and ask him a few questions. Street Art Santiago is quite amazing. 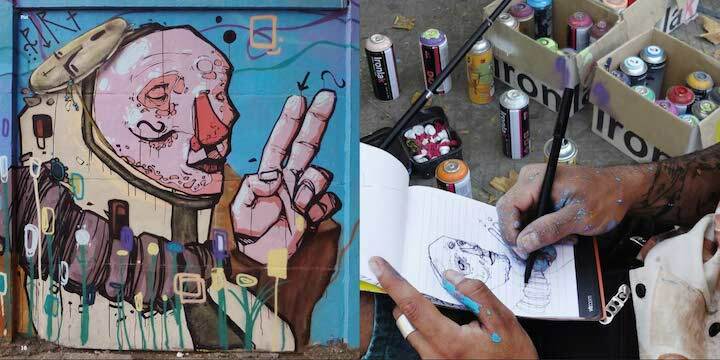 When did you first start documenting street art? It was in 2012. I was on vacation in Bogota, Colombia, and I was struck by the texture and quality of the pieces on the walls there. You’ve been quite passionate about public art since. I’m a huge fan of your site the Museum of Urban Art. What other cities have you explored? 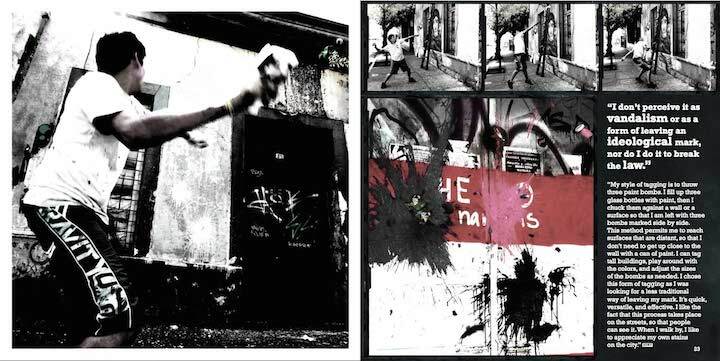 I’ve also photographed street art in Buenos Aires, São Paulo and here in New York City. 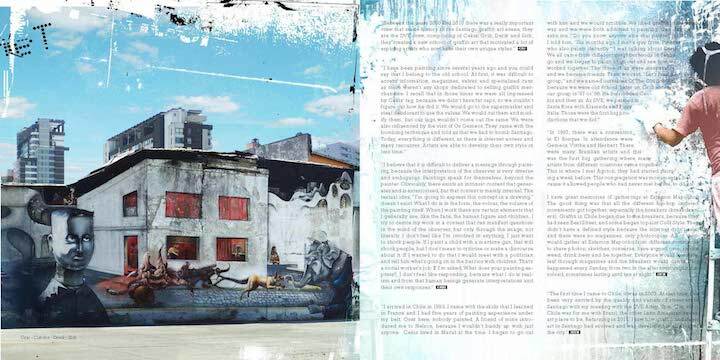 Why did you choose the street art in Santiago as the subject of your first book? I discovered so many distinct styles that I loved, many representing the rich political and social history of the city. And I also felt a special bond with the Chilean artists whom I met. They love to share walls, and they love to collaborate. They invited me to paint with them, and they are extraordinarily humble. You have a formal education in art. Did what you see on the streets impact your work as an artist? Yes, after a few months in Buenos Aires, I was inspired to learn how to do stencil art. And I’ve been doing it since! What were some of the challenges you faced in producing this book? I was working with an inexpensive pocket camera. I was new to graffiti and street art, so I lacked any credibility. My knowledge of Spanish was limited. And I didn’t have a clue as to how to publish a book. You seem to have brilliantly overcome these challenges. What’s next? I’m off to Thailand at the end of the month where I will be documenting another kind of art, the art of Muay Thai, Thailand’s principal spectator sport. 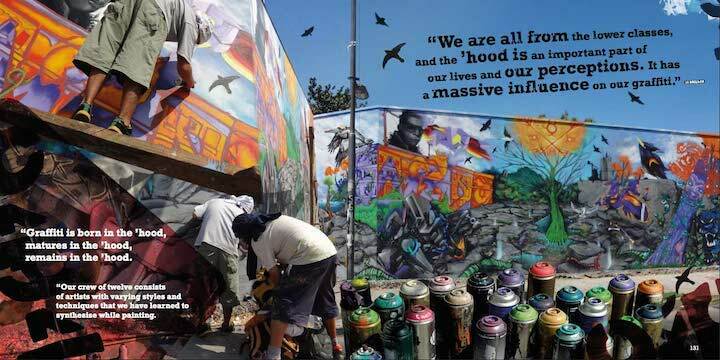 What about street art? Any other books on the way? Yes, my next book will focus on the street art in Buenos Aires, Argentina. That sounds great! Good luck with it all!